A new deer disease has been found in southeastern Minnesota. Epizootic hemorrhagic disease is 90 percent fatal in captive whitetail herds. Cases have been confirmed in South Dakota and Wisconsin, and now, here, the Minnesota Board of Animal Health said Wednesday. A hobby deer farmer in Goodhue County checked his herd on the last Friday of September. All seven of his animals seemed healthy. By Monday, six of them were dead. The farmer had no idea what happened to his animals, said Mackenzie Reberg, senior veterinarian with the animal health board. "The symptoms were so severe," she said. "It moved so fast. The farmer was concerned." He ran a battery of tests, which came back positive for EHD. The virus was found several years ago in two cows in Minnesota. 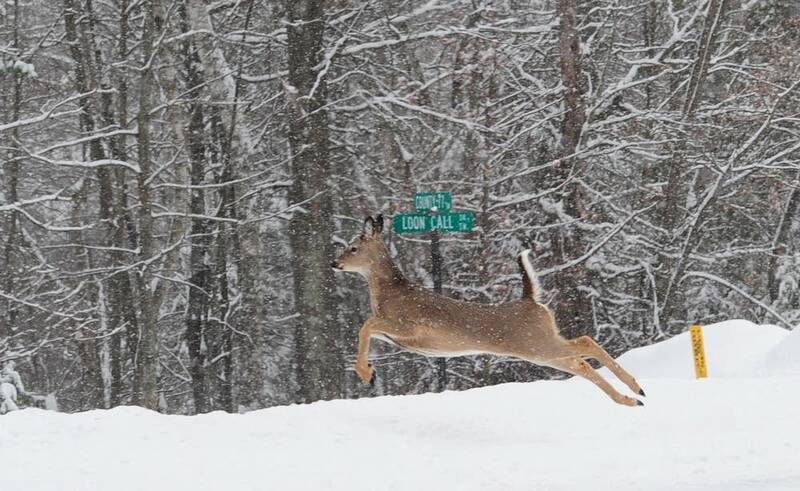 This outbreak is the first to hit captive deer in the state. The virus is not known to cause disease in humans. But Reberg said it's particularly hard on whitetails. It erodes the lining of a deer's mouth and intestines. Infected animals retain liquid under their skin. Exhaustion sets in. The vast majority of infected animals die within a few days. "The few that do survive have a long road to recovery," she said. The disease is spread by biting midges, commonly known as no-see-ums. A midge has to bite an infected animal, then bite a another, non-infected animal to pass the virus. It happens quickly when animals are close together, but Reberg says the six Goodhue County deer lived miles from any other confirmed case. "And these midges can't fly far on their own," she said. "Maybe a mile at a time." Reberg suspects the infected midges caught a ride on wind currents from Wisconsin. The midges, though, can't survive a hard frost, so this will likely be the last outbreak of the year.